According to a recent news report from the New York Times, Graco has agreed to pay $10 million to settle a lawsuit alleging defendant took too long to settle claims that it failed to act quickly to recall 4 million defective car seats. 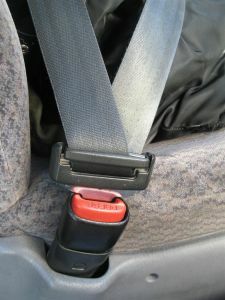 Plaintiffs alleged defendant’s car seats were manufactured with a defective buckle, making it hard for first responders and parents to free a child in the event of an emergency, and federal regulators confirmed the problem. The National Highway Traffic Safety Administration (NHTSA) stated defendant would pay $3 million to plaintiffs and spend an additional $7 million to develop safety programs to prevent future injuries to children. Defendant was not required to accept liability as part of the settlement and has continued to allege any problem with the buckles was only caused by children spilling food and beverages on them. During the lawsuit, parents testified they had to cut the straps of the child seats to free their children, and federal regulators did not believe the food and drink explanation was a valid defense, because, even if true, it was foreseeable children sitting in car seats would spill their food and drinks. When NHTSA first became aware of the defective belt buckles, the agency demanded defendant voluntarily recall the defective products, but defendant refused to do so. A month later, after several requests from NHTSA, defendant finally recalled the car seats with defective buckles. Foreseeability, as our Boston defective products attorneys can explain, is a one of the main elements in a negligence-based cause of action. In the Commonwealth of Massachusetts, plaintiffs must establish four elements. The first element is defendant owed a duty of care to prevent foreseeable to harm foreseeable persons and property. Foreseeable plaintiffs in a case involving car seats would be children sitting in the seats. As for the injury being foreseeable, if a company knew children spilling food and drinks on a belt buckle would cause it to malfunction, this, as NHTSA pointed out, is foreseeable. Under the law, foreseeability is determined by what a reasonable and prudent person in defendant’s position would know. Additionally, cases that involve products sold to consumers in the regular course of business (as opposed to a one-time sale on craigslist) fall under the Uniform Commercial Code as adopted by the Commonwealth of Massachusetts. Specifically, there is a warranty of merchantability, which requires any product sold to the general public be warranted to work for its normal purpose. If a consumer is using the product according to instructions, or even as normal consumers use such a product, defendants may be liable for defects causing injury. There is also a warranty of fitness for a particular purpose. This warranty makes manufacturers liable for injuries caused when consumers are using products in a manner known or expected by manufacturer. For example, having a child in a car seat with a bottle of juice or a bag of snacks is an expected use. If a parent instead strapped a car seat to the roof a vehicle, and there was and injury, manufacturer would not be expected to protect against this type of use.